One of the most daunting challenges facing emerging filmmakers is the path to find representation and distribution. Working with a professional producer’s rep or sales agent can give your film a leg up on the search for distribution. This year the festival has partnered with Dan Gurlitz, the Founder of Soundview Media Partners. Dan will be playing close attention to the feature length Official Selections, and the winner of the Best Documentary and Best Narrative Feature will each receive a complimentary one hour consultation to talk about their films and distribution strategies. Soundview Media Partners works with and represents filmmakers, artists, and content-owners. Specializing in the development of product lines, and the setting up and expansion of distribution channels, focusing on categories that target identifiable consumer groups. Soundview also serves the film, audio and video communities in a variety of sales and marketing capacities including the direct sales and licensing of films for the educational and non-theatrical exhibition market sectors. 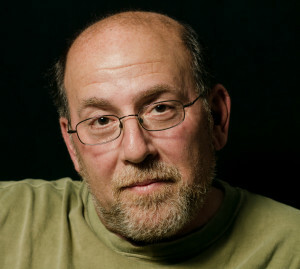 Founding Member and CEO Dan Gurlitz entered the entertainment distribution industry in 1984. His career began in advertising, and includes over ten years in sales followed by 15 years in senior management within rapid-growth, independent environments. Prior to launching Soundview, Dan was the Senior Vice President and General Manager, Video, for Entertainment One U.S.